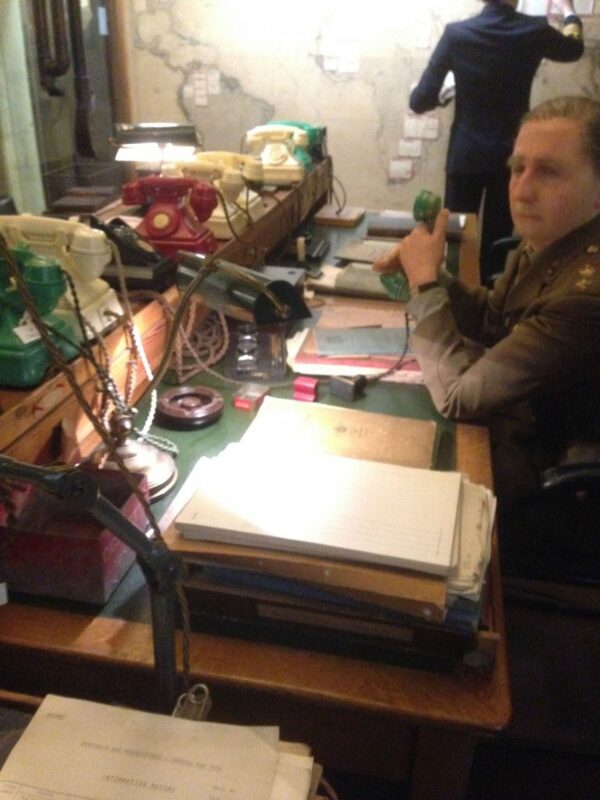 Already a huge hit with visiting Americans, the queues for the Cabinet War Rooms and Churchill Museum are only going to get longer with the releases of the Darkest Hour movie. The film is set in the early days of Churchill’s wartime premiership when debate in the Cabinet was whether to sue for peace with Hitler. It is no understatement to say that the entire course of 20th century history would have been utterly different had such an outcome occurred. 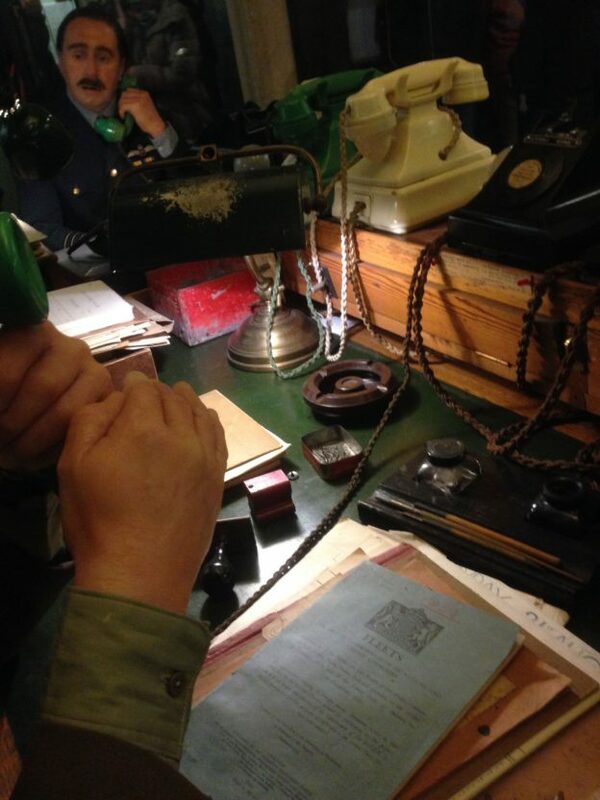 The movie wasn’t filmed in the War Rooms, but meticulously recreated them, even down to the peeling paint on the wooden supports of the map room. 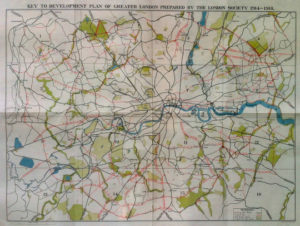 This entry was posted in The Blog, tower hill memorial and tagged cabinet war rooms, churchill, imperial war musum on 08/01/2018 by donbrown. Chiappa “organ builders” at Eyre Street Hill in EC1. Apparently they’ve been here since 1877, when this would have been the heart of London’s ‘Little Italy’, the area around Saffron Hill and the Clerkenwell Road. The Italian church of St Peter’s is just round the corner. Each July it still holds the procession of Our Lady of Mount Carmel, a bit of Italian Catholic cultural tradition on the streets of London. This entry was posted in The Blog and tagged IFTTT, Instagram on 17/12/2017 by donbrown. On 30th July – that’s only 3 weeks! 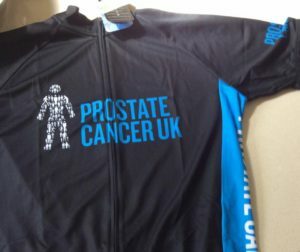 away – I’m going to try to cycle 46 miles around London to raise money for Prostate Cancer UK. You can give money here. This entry was posted in cycling, The Blog on 06/07/2017 by donbrown. 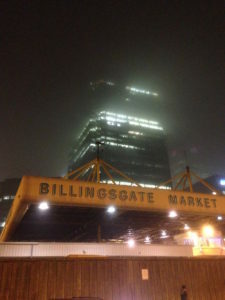 I’ve been lax at blog posts this year (there are ones coming on the Tudor Pull, Marlborough St Magistrates Court and Michael Fagan, honest), but as I’m out and about on the Blue Badge Guide stuff I occasionally manage to take some pictures and load them up to instagram. You can follow what I shoot if you look for ‘donbrowndotlondon’, but here’s a selection of recent images from across the capital. This entry was posted in photos, The Blog and tagged architecture, battersea power station, soho on 26/06/2017 by donbrown. In the days before public toilets (indeed, before proper plumbing in most pubs and houses), the more respectable citizens were frequently up in arms about the ‘lower orders’ relieving themselves in public. 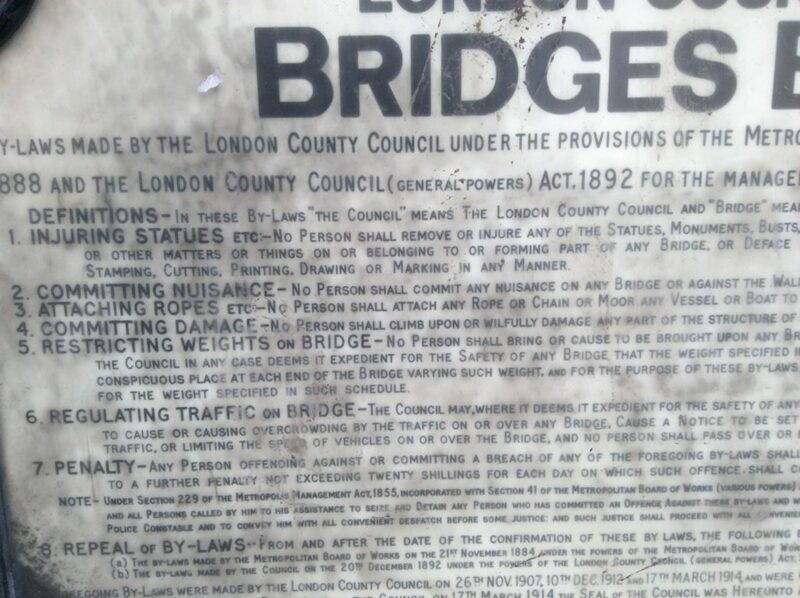 You’ll find more about this – and more physical deterrents used to prevent al fresco micturation – in Lee Jackson’s excellent book, Dirty Old London. This entry was posted in The Blog on 25/06/2017 by donbrown. 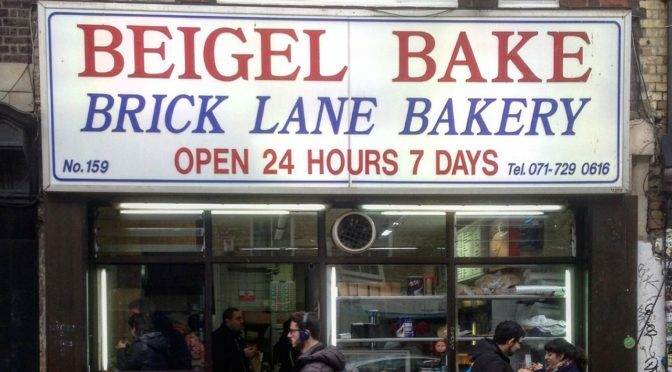 Forget your hipster bars and street art tours, single estate coffee and craft beer, upcycled furniture and bleeding edge fashions, the most compelling reason to visit Brick Lane is the Beigel Bake. 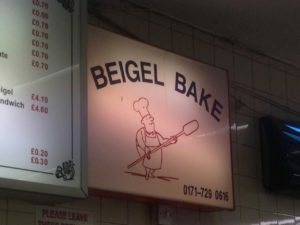 Open 24 hours and selling 3,000 beigels a day (as well as platzels, rye bread, chollah, cakes and impossibly retro custard slices), it’s been around since 1976 when brothers Asher and Sammy Cohen stopped working for another brother at the Beigel Shop two doors down, and branched out on their own. 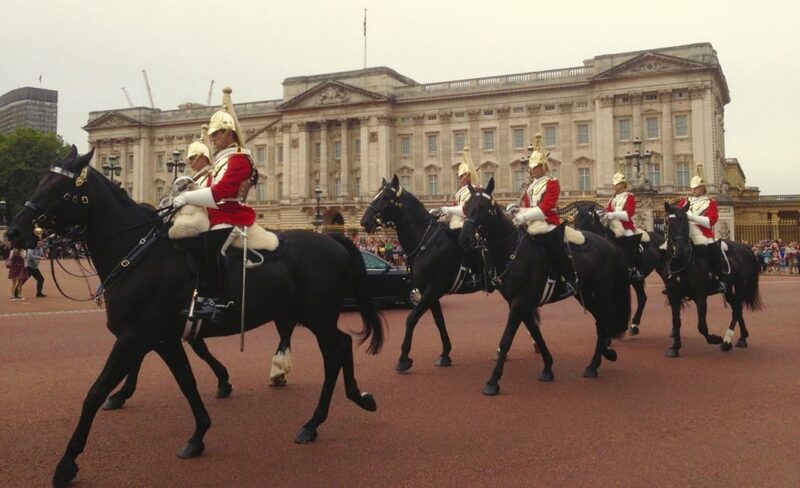 This entry was posted in London Icons, The Blog on 27/04/2017 by donbrown. I’m having a coffee in the last of the Soho coffee bars. An absurd statement on the face of it; there are probably more places to get a coffee in Soho now than at any time in the past. 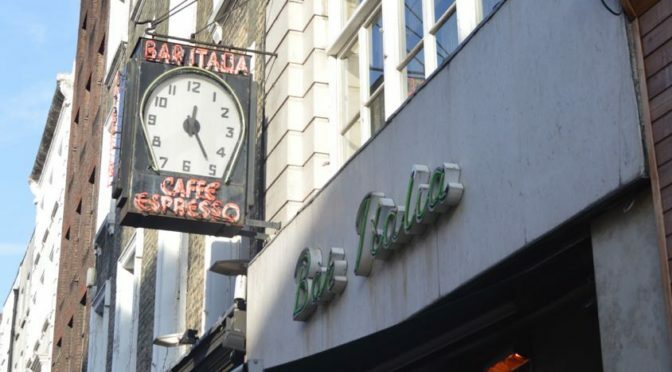 But I’m talking about the Bar Italia, a place that justifies the label ‘Soho Institution’ and a world away from your chai lattes and skinny decaffs. 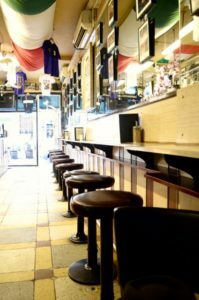 This entry was posted in London Icons, The Blog and tagged soho on 27/04/2017 by donbrown.